The torch itself is fascinating -- designed by a team of engineering students from Purdue, and fueled with Hoosier-made biofuel. A GPS in the torch will track it as it travels across the state. The torch contains a camera to document its journey, and can access Wi-Fi when available. It even has its own Facebook page! While visiting the Statehouse earlier this year with my daughter, I met Perry Hammock, director of the State Bicentennial Commission, who asked if I&apos;d like to hold a model of the torch. You can see this in the top photo. 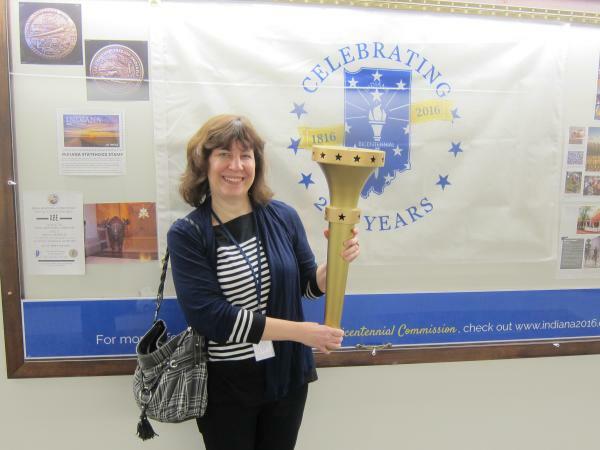 If you&apos;re wondering whether the Olympic Torch was the inspiration for our Hoosier model, think again: the model was the torch that features prominently on the Indiana State Flag. Once the torch was completed, it was ready to begin its journey. That trip began Friday, September 9 when former Indiana first lady Judy O&apos;Bannon lit the torch in a ceremony in Corydon, Indiana&apos;s first state capital. 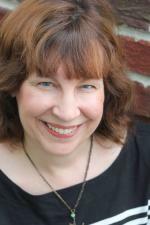 2,200 Hoosiers have been nominated and selected to carry the torch across the state. They&apos;ll cover 3,200 miles and pass through all 92 Indiana counties before ending up at the Statehouse in Indianapolis on October 15. Some will walk, some will run, and others will use various means of transportation representative of our Hoosier heritage. 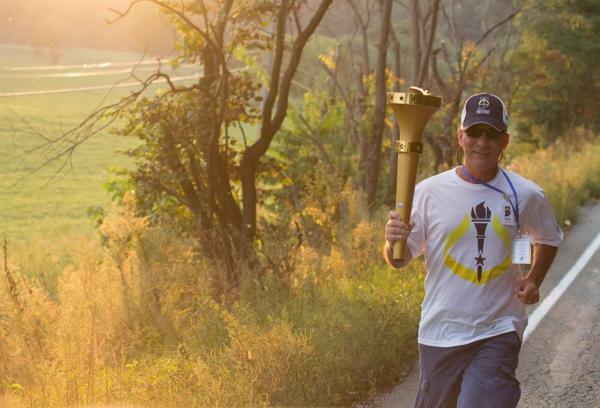 The torch will travel through Fort Wayne on October 1. Twenty-four torchbearers in Allen County will carry the torch through our county, on a path that travels north on Calhoun Street and also includes Main Street, St. Joseph Boulevard, Spring Street, and Lindenwood Avenue.